This year has seen several very well established producers take the next step up in providing a top quality offering, both in the bottle and as a visitor experience. 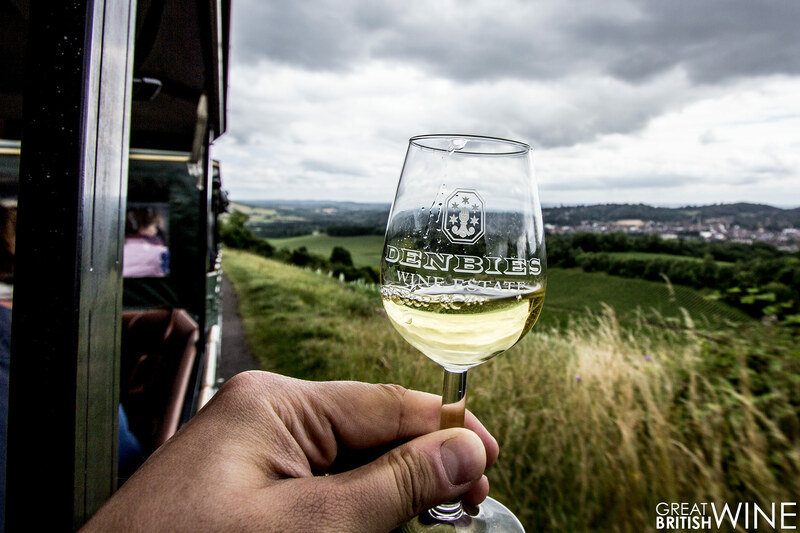 Denbies Wine Estate, established 31 years ago, has been running one of the leading English Wine tourism operations since opening its visitor centre in 1993. Whilst the grape varieties and wealth of different facilities and tours has changed over the years, one thing was key from the very beginning: the try before you buy mentality. Denbies has led the way with this, and for many years offered visitors a range of English wine that is accessible both from a price point and from a flavour point of view. This month I headed back to the Estate in Dorking to see what has changed in the two years since my last tour. The morning began with a short introduction from Anne Denny (Tour Manager), Jeannette Simpson (COO) and Chris White (CEO). It was great to get some insight from Chris at a time when the hype around English wine seems to grow exponentially each month. With an combined footfall of 350,000 visitors annually and large retailer distribution, the business has been profitable for 17 years. Chris explained that there were lots of exciting developments on the way for Denbies. Firstly, some very exciting wines including zero dosage Blanc de Blancs and Blanc de Noirs - an English Sparkling first! An uber-premium version of the brilliant Noble Harvest Ortega dessert wine is also on the way and due out later in the year. It won’t be cheap, but everyone seems hugely excited about this one. And then there’s the work that Anne, Jeannette and the team are putting in to the visitor experience. This summer sees the launch of the brand new ‘Secret Vineyard Trail’, a chance for visitors to get up close and personal with the vines, see unique aspects of the vineyard and sample some fantastic wines along the way. 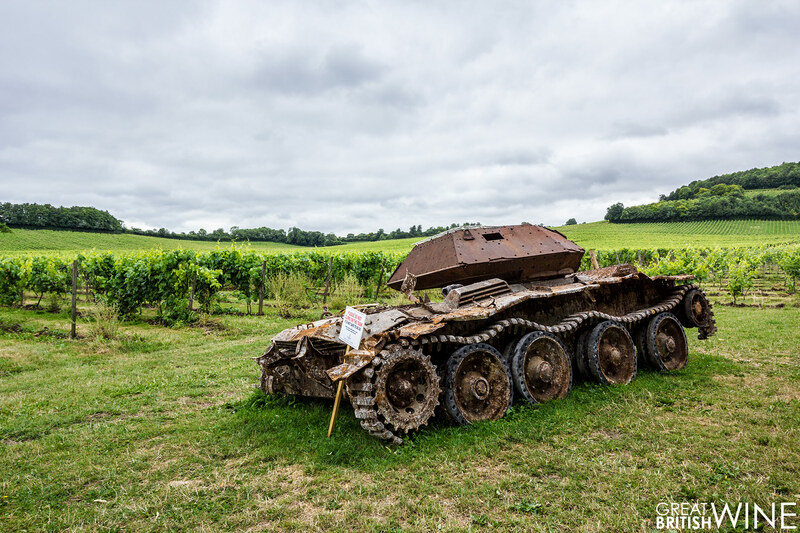 Our trail, led by Anne, began with a stroll through the lower parts of the vineyard, past a recently excavated World War 2 tank. These lower areas of vineyard are where the crippling frosts in April had done their most damage, visibly affecting large areas of the Müller-Thurgau vines. 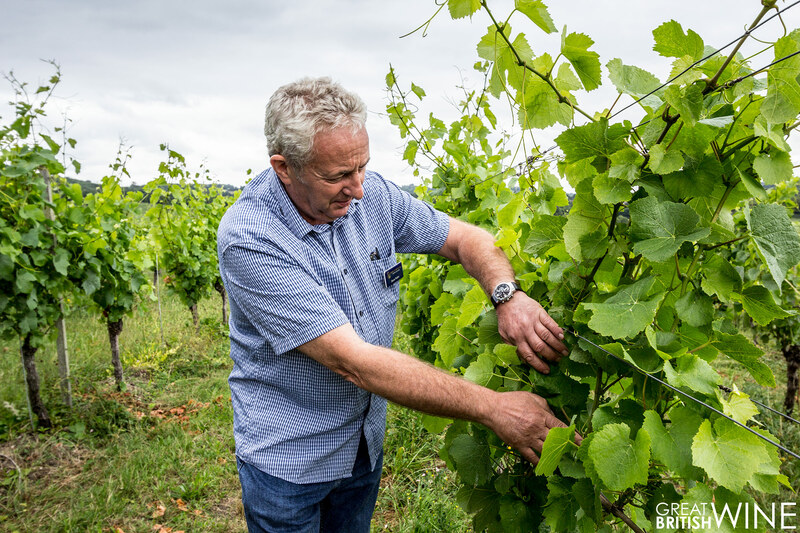 We continued through Reichensteiner vines, and after a brief chat with vineyard manager Dave Fallon, stopped at a well-placed barrel for our first tasting. This wine was the Flint Valley 2016, a white blend of 55% Seyval Blanc and 45% Reichensteiner. Likened in character to the Chenin-based whites of Loire, the Flint Valley has a pleasing light fruity and floral nose, flavours of fresh crunchy apples and citrus with mineral notes. The perfect wine to whet our appetites with. Continuing through the vineyard, it had dawned on me just how stunning a location Denbies actually is. With 265 acres of land under vine there are literally rows of vines as far as the eye can see! Now amongst red grape varietals of Rondo and Pinot Noir, it was time for an exclusive tasting of some of the new and upcoming wines. We had a pre-release tasting of the new 2016 vintage of Chalk Ridge Rosé, made from 60% Pinot Noir and 40% Dornfelder. With a pale blush colour and lovely aromas of cherry blossom and red fruit, this warming wine really appealed just as the sun started to poke through dark lingering rain clouds. But the best was yet to come, as we were amongst the first people taste two extremely characterful zero dosage sparkling wines, alongside some delicious local honey. 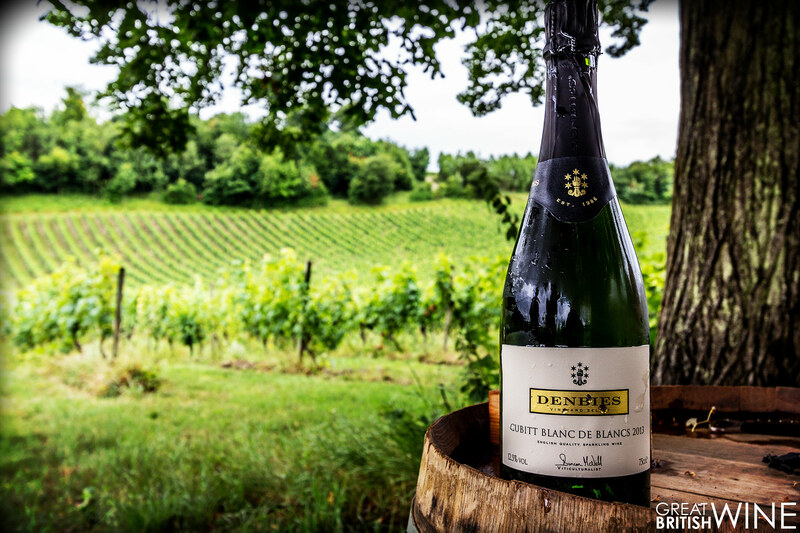 With no sugar added during disgorging, zero dosage is the purest form of sparkling wine and a difficult style to make in England with the already high-acidity that our cool climate brings. However, both the Blanc de Blancs and Blanc de Noirs were breath-taking in their purity and balance. My full tasting notes for these wines can be found below, with both wines due to be released later in the year at a price point of around £45-£50. It was then time to trek up to the highest point to Yew Tree Field, where Pinot Noir had been planted since 1991. This is also the warmest spot in the vineyard, and it felt like stepping into a tropical microclimate on a particularly damp and airy afternoon. Our persistence was rewarded with the chance to sample the Vineyard Select Pinot Noir 2014. I last tasted this 6 months ago, but the wine now feels a lot better integrated with a superbly soft and supple palate. Rich, ripe cherry and strawberry flavours with hints of pepper and spiced oak. Delightful! The trail would usually continue on foot, but in the interest of time we made an impromptu hop on to the Denbies vineyard train. On the way we sampled the rather stunning Noble Harvest Dessert Wine 2014 with a taste of Norbury Blue cheese, made just over the hill at Norbury Park Farm. The sweet honeyed stone fruit flavours of the wine, tempered by a streak of fresh English acidity, paired wonderfully with the crumbly and intensely savoury blue cheese. With our Secret Vineyard Trail drawing to a close, I felt a lot more connected with Denbies than I had on any previous visit. I had gained a new found respect for just how much the 150-person strong team contribute to English Wine, and felt hugely impressed with the new boundary pushing future releases that the team in the winery has been working on. Our last stop was Denbies’ on-site restaurant ‘The Gallery’. With panoramic views across the surrounding landscape, the contemporary restaurant has an impressive repertoire including set and special menus making the most of local produce. 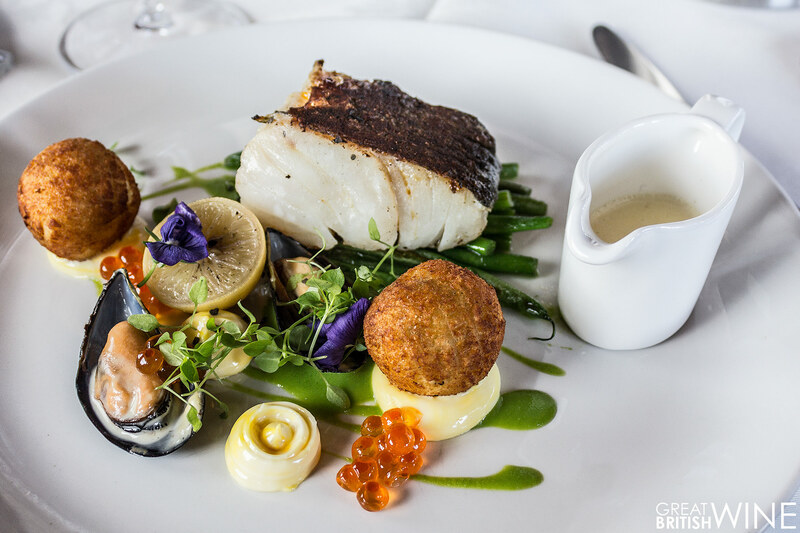 Poised with a trio of delicious white wines from the Vineyard Select range, I ordered the Pan Fried Cod Loin with potato croquette, mussels, beans and white wine velouté. This dish was as stunning to taste as it looked, and was particularly delicious paired with the Vineyard Select Bacchus Sauvignon Blanc 2015. 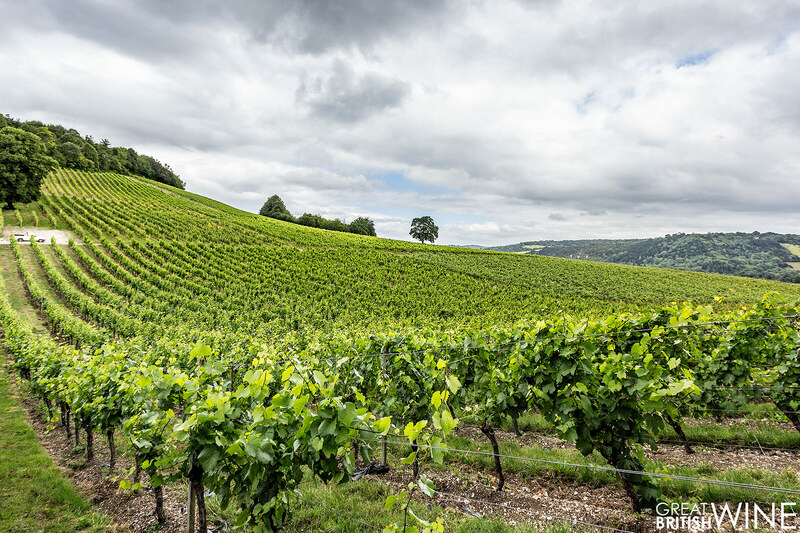 With such a wealth of visitor options and some excellent wines, Denbies is one English vineyard you could really visit for a great day out. 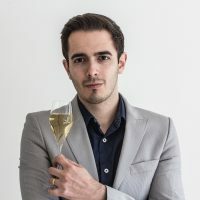 I would strongly recommend anyone interested in a more interactive English Wine experience to head over to Surrey and sign up for the Secret Vineyard Trail. 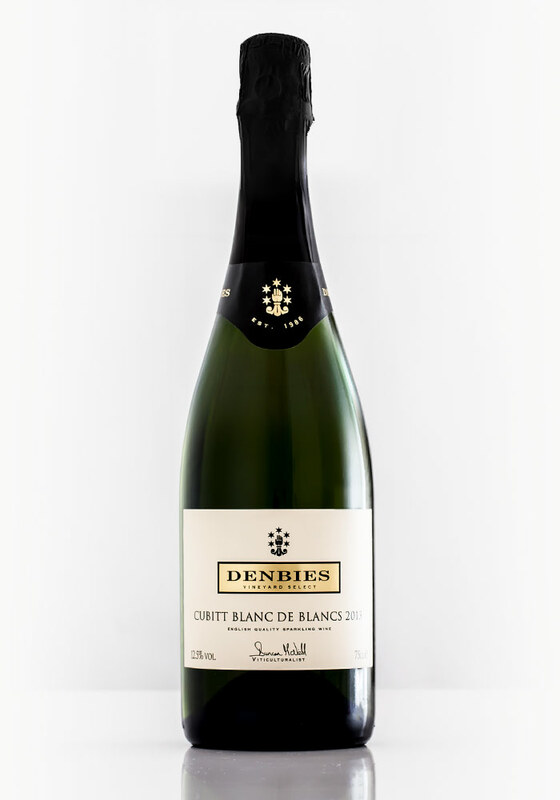 With a new-found confidence and a very good 2013 harvest, the inaugural Cubitt Blanc de Blancs is a zero dosage sparkling wine! Fine streams of bubbles and a pleasing golden tone. An enticing nose of baked apple, apricot with an unexpected character of honey. A strikingly clean profile, the sublime ripeness of the fruit bringing prominent apple pie and pastry flavours – but without the sweetness of dosage. That lovely honey-like character also manifests on the palate, with floral hints and gorgeous creamy textures. Rich, proud and intense. I have to say it is the most distinctive wine that I’ve tasted from Denbies to date. Made from 100% Pinot Noir from the very best plots in the vineyard, the Cubitt Blanc de Noirs is also made with zero dosage. A richer golden colour with slightly warmer bronzed hues, the bubbles are a little less pronounced than the Blancs, but very fine. Pure Pinot character on the nose – subtle and clean red fruit of cherry and raspberry with a lovely nutty complexity. Great focussed acidity grabs your attention, but the wine soon softens to supple ripe red berry flavours. The real surprise again is how well the structure of the wine stands without the addition of sugar. The biscu­ity nuances really shine, as does a slightly savoury complexity. The Vineyard Select range was one of my early English Wine discoveries, and has continued to impress with each new addition and vintage. 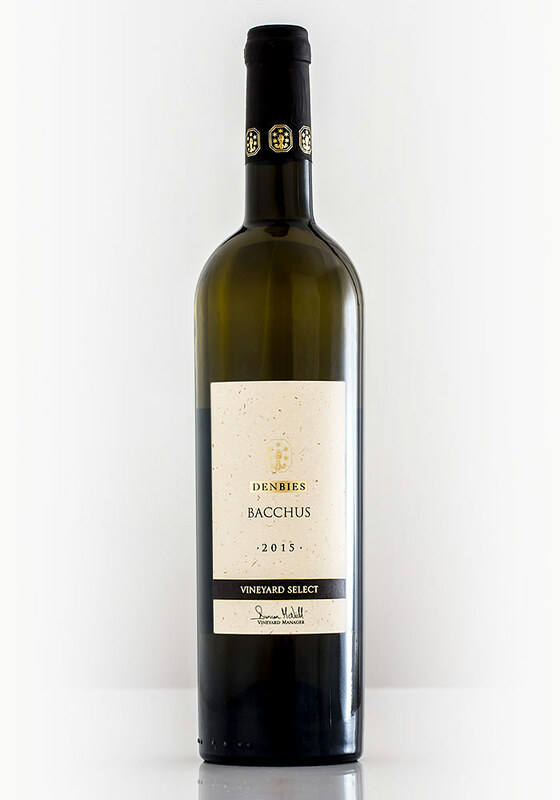 It all started with Bacchus, and this 2015 release is another example of the new breed of punchier and commanding Bacchus'. This wine gets straight in there with its aromatic and fragrant nose. Zesty lime and grapefruit aromas with the typical varietal characteristics of Elderflower and hedgerow, piqued by vibrant tropical fruit. To taste, this is a vibrant zingy journey of dancing citrus fruit with a hint of white pepper spice. Floral and tropical notes on the finish, this is an lively demonstration of what can be done with Bacchus. 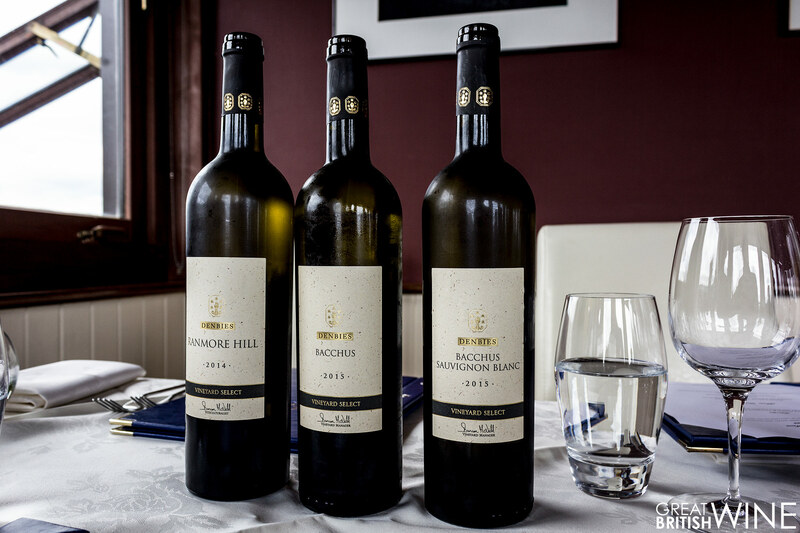 Three vintages along, this always fascinating blend of Bacchus and Sauvignon Blanc swings in the favour of Bacchus in 2015. A curious nose with hints of citrus fruit with an underlying herbaceous and floral character. Lots of lime, hedgerow and cut grass, with a floral seasoning of elderflower. A green fruit focussed palate, the zing of lime and (as with all of the whites in this range) a punchy commanding acidity. Of the three Vineyard Select whites, I found this the most interesting. The herby and grassy notes provide a diverse palate, but there’s a slight grip that gives the wine more presence on the palate. The wine paired beautifully with the cod and mussel main course I had in The Gallery restaurant.